Wintertime is all about bundling up, coming together, and spending time with loved ones. Connecticut’s crisp winter weather gives couples even more of a reason to cozy up together this season! 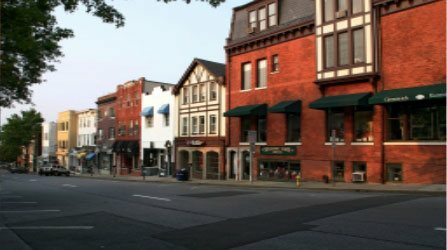 There’s no better place to send sparks flying than beautiful Greenwich, CT. Just one hour away from the hustle and bustle of New York City, this charming town is the perfect place to escape together. Here are some of the most romantic things to do in CT in winter! Planning a romantic getaway with your sweetheart doesn’t have to be overwhelming. The Old-World charm and picturesque beauty of Greenwich’s winter landscape make for a great start, but if you need a few more romantic things to do in CT in winter, download our complimentary Vacation Guide! This valuable resource has helped so many couples make the most of their time in Greenwich, so be sure to get a copy today. Whether you’re looking for romantic weekend getaways in CT or a few fun date night ideas, there are plenty of ways to enjoy quality time together in Greenwich. To help you get started, we handpicked some of the best things for couples to do in CT that you’re sure to love! L’Escale Restaurant: This waterfront restaurant features a menu of delicious Mediterranean cuisine. Harvest Wine and Bar: Serving only the freshest farm-to-table dishes, this restaurant also features an extensive wine list featuring selections from around the world. Elm Street Oyster House: Famous for its marble bar and flavorful seafood, the Oyster House is one of Greenwich’s most beloved restaurants. Want to take dinner with your sweetheart a step further? Create an experience that will make all of your friends jealous by booking a dinner and cocktail cruise with Greenwich Boat Charters! Just as the sun begins to set, you’ll be guided through the harbor aboard a romantic vessel with all the bells and whistles. Guests may bring their own romantic meal or arrange for a caterer. No matter how you plan this date night, your partner will love it! When there’s a chill in the air, there’s nothing more romantic and rewarding than a trip to the spa with your significant other. Stanton House Inn is within walking distance of several fantastic day spas along Greenwich Avenue. A few of our favorite spas in Greenwich, CT include Serenity Spa and Dream Day Spa. If you’re celebrating an anniversary this winter, don’t forget to reserve our Anniversary Package, which includes a couples’ spa session! Located just a short drive away in Port Chester, NY is the Capitol Theatre. This historic venue offers a variety of live entertainment that will keep your significant other interested all night. 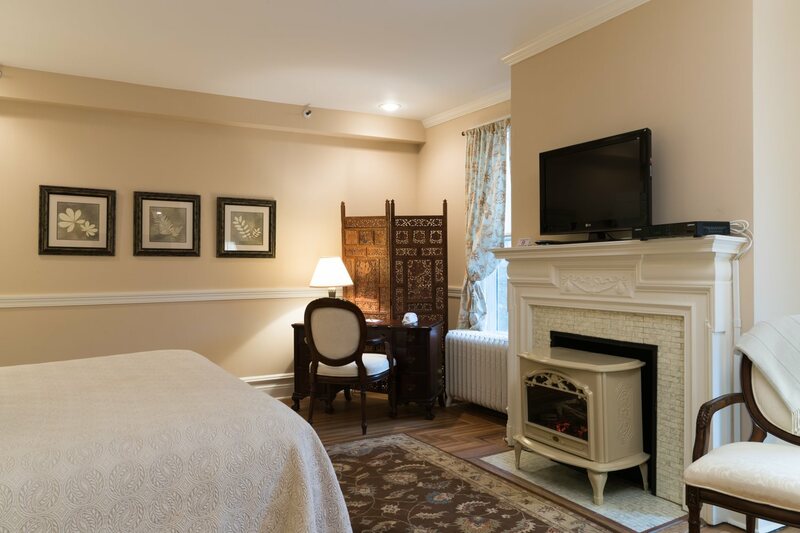 From Stanton House Inn, you’ll be able to walk to the Greenwich Train Station, ride over to Port Chester, attend a show at the Capitol Theatre, then return without even needing a car! Another fantastic romantic evening activity in winter in Connecticut is Curtain Call in Stamford. Catch a show here and you’ll see why many people hold it to a higher standard than New York City shows! Another Stamford, CT attraction with plenty of shows throughout the year is the Palace Theatre. It is also easy to reach from the Stanton House Inn, so you and your loved one can bundle up and take a winter stroll over to town. Indulge in a Romance Package at Stanton House Inn! 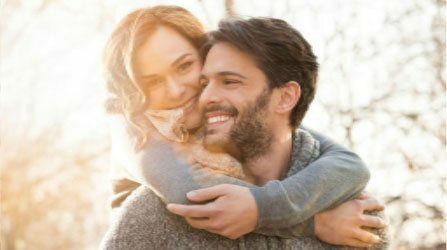 If the two of you are hoping to enjoy the most romantic things to do in CT in winter during your getaway, Stanton House Inn’s Romance Package is for you! In addition to your stay in our historic inn, you will also be treated to a complimentary bottle of champagne and chocolate-dipped strawberries right in your room! Room 28: As the former master bedroom of the original historic mansion, this room has a working gas fireplace on the second floor. Room 14: This room is on the first floor of the house. It boasts a private entrance on the south side of the house and a working gas fireplace. 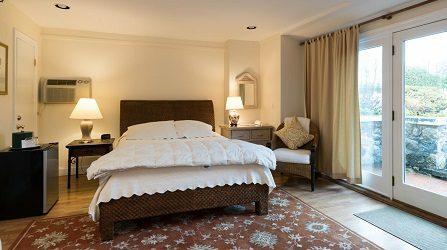 Sackett Suite: This romantic suite does not have a fireplace, but it does feature a hot tub in the room! 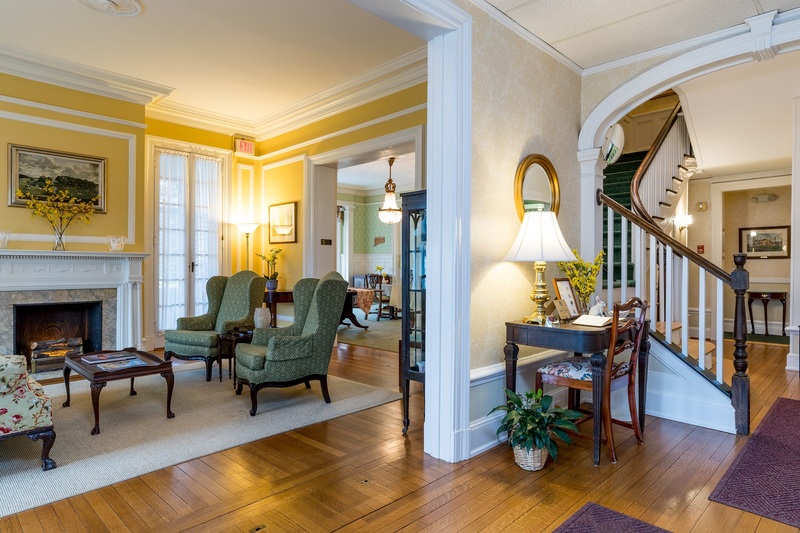 During your intimate getaway to Stanton House Inn, you will also have access to premium amenities like our beautiful gardens, inviting common rooms, and complimentary continental breakfast each morning. It’s no wonder we were named one of the best bed and breakfasts in Connecticut! What are you waiting for? Book your romantic escape to Stanton House Inn today!